Originally from McKeesport, PA (outside of Pittsburgh), he now resides in Indianapolis, IN. Growing up, King was an avid chess player, being a member of the Charity Dye IPS #27 U.S. National Chess Championship Team. During this time, he traveled as far as Japan, playing chess with the best of them, stopping along the way to have lunch with the then President Ronald Reagan. As he entered middle school, King acquired an ear for music. He started rocking house parties at the young age of 14, convincing his Mom to rent out different clubhouses, so he could rock his own type of party. King started making mix tapes and was selling out faster than he could make them. Before the age of 21, the local nightclubs were calling King to book his availability to spin in their club. King took advantage of the offers and was afforded the opportunity to meet many in the industry. 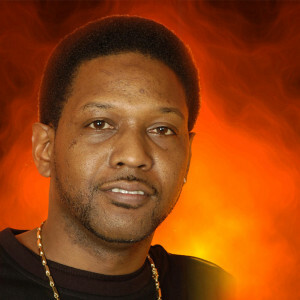 As the years went on, King met several associates affiliated with Radio One, who encouraged him to apply for a spot at the local stations WHHH (Hot 96.3) and WTLC-FM. You can now hear King, blowin’ up the 5 O’Clock Mix weekdays on WTLC 106.7, weekends on the Mikki Fikki Mix Uncut, 12am-2am on Hot 96.3 or rockin’ Ol’ Skool R&B and Hip-Hop on The Saturday Night Basement Party from 8pm-12am on WTLC 106.7. Check him out live in the mix Tuesday nights at The Living Room Lounge, Saturdays at Suite 38 for “Suite Life Saturdays”, and for the Ol’ Skool/ Nu Skool, check him out at The Point Bar & Grill on Sunday nights for the best Sunday night party for the mature crowd. Book Deejay King for your next event, Club (also Video DJ), Birthday, Wedding, Family & Class Reunion by clicking HERE.